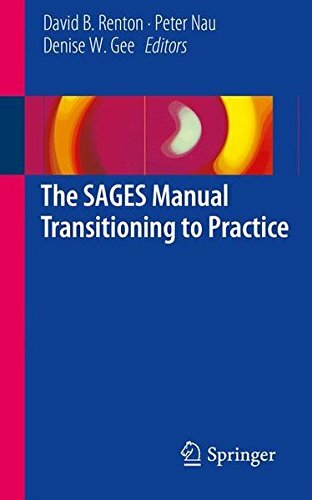 The SAGES Manual Transitioning to Practice | Free eBooks Download - EBOOKEE! Posted on 2017-09-18, by nokia241186. This SAGES manual will help educate and advise our new and recent surgical graduates on entering the job market. From how to find a job, to contract negotiations, to research and grant proposals, this manual offers pertinent strategies crucial to both surgical and non-surgical subspecialty fields. Chapters focusing on work-life balance and finding a mentor offer helpful insight to prevent burnout and optimize one's new career. The SAGES Manual: Transitioning to Practice will fill the gap in resident education and prove a useful text for residents, fellows and recent graduates as well as practicing surgeons in all subspecialties of surgery. No comments for "The SAGES Manual Transitioning to Practice".